Dr. Martin Luther King, Jr. dedicated his life to serving others and his birthday is the yearly reminder to give back to the community, which is what 250 Delta people did at the annual Hosea Helps - Martin Luther King, Jr. Festival of Services on Jan. 23 at the Georgia International Convention Center in Atlanta. 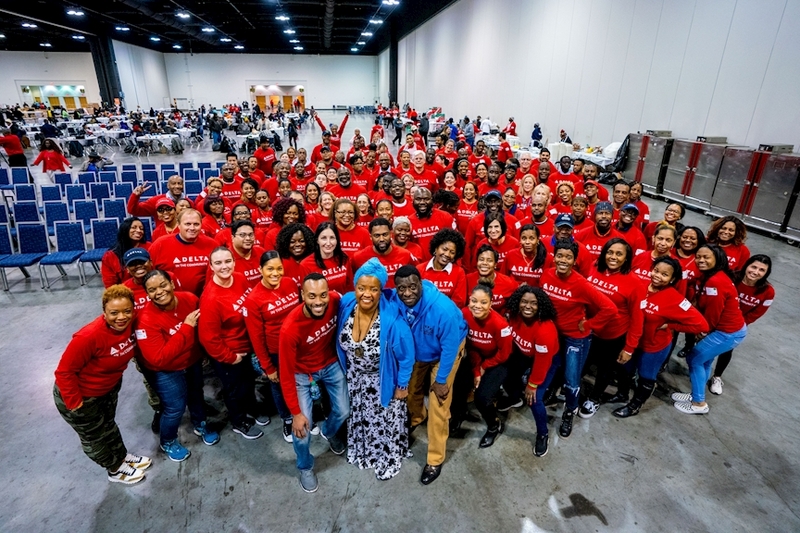 Delta was the exclusive sponsor for the event and has partnered with Hosea Helps for many years, celebrating the life and legacy of Dr. King by serving the homeless. 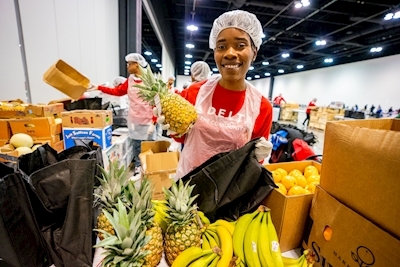 Volunteers helped prepare and serve hot meals, package and distribute fresh produce, as well as sort and give clothing to thousands of people. Tad Hutcheson, Managing Director of Community Engagement, surprised the leaders of Hosea Helps with a $150,000 donation toward their capital campaign to purchase a permanent space to serve people year-round. "At Delta, it's more than just writing a check. We're also getting our employees involved in giving back to the communities where we live, work and serve." Hosea Helps Chief Executive Officer Elisabeth Omilami, the daughter of Civil Rights leader Hosea Williams, was overjoyed by the donation and declared the new building's volunteer center be named the Delta Air Lines Volunteer Center. "Thank you, Delta. 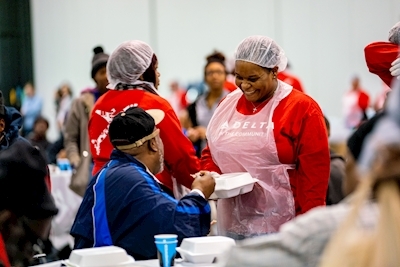 Delta Air Lines is known for doing this world-wide and Hosea Feed the Hungry is proud to stand with you to make a difference in the world." Many Delta employees look forward to the annual event as a way to give back a family and to teach the next generation the importance of service to their community. Atlanta-based Flight attendant Katherin B. brought her 13 year old daughter Abigail to serve alongside her. "When you have your arms around your family and can get them involved, it really does make the Delta difference," she said. In addition to food and clothing, attendees were treated to haircuts, musical entertainment and words of wisdom from Civil Rights leaders. The mission of the Hosea H​elps organization is to continue to raise public awareness and provide human-centered solutions to the many problems facing poverty-stricken families and individuals in the community.